NASCAR driver Jimmie Johnson can cross another item off his bucket list - he was able to finish the Boston Marathon Monday. 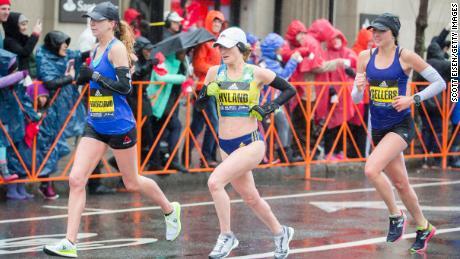 The 2019 Boston Marathon will be remembered for one of the most dramatic finishes in race history. He placed 20th in his age group and 238th overall.